Music streaming pioneer Pandora is shaking up its Internet radio service as a Spotify-like subscription service from the company looms on the horizon. Pandora announced Pandora Plus on Thursday, which will be priced at $5 per month and replace the current premium service Pandora One. Interestingly, the company also teased an impending on-demand music service coming later this year. But let's talk about Pandora Plus first, as it's going live today. 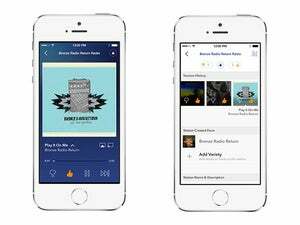 Pandora Plus adds a new offline feature and frees up Pandora’s skip and replay limits. Pandora’s current ad-supported service allows for six song skips per hour per station with a daily limit of 24 skips. Pandora One subscribers get an increase over that limit, and Pandora Plus will raise it even further, though the company's press release didn't specify how many skips subscribers will get. You'll also be able to replay many songs from your listening history. Pandora Plus adds an offline mode, which has been rumored for some time. The new “predictive offline mode” automatically detects when you lose your Internet connection and moves seamlessly to stored content. Pandora’s announcement didn’t have any details on what this means, but Billboard reports the Pandora apps will automatically save your thumbprint radio station. In addition, a selection from the last three stations you listened to will also be available offline. It’s not clear how many tracks for each station will be saved or approximately how long your offline playlists will last before they start repeating. The Pandora One press release confirmed that the company indeed plans to introduce an on-demand service to rival Spotify and Apple Music soon. 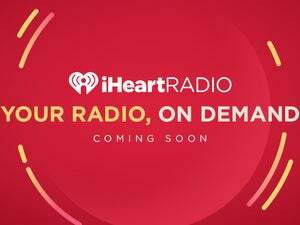 "Whether a listener wants to take advantage of our enhanced ad-supported experience, our groundbreaking subscription radio service, or our fully interactive on-demand option coming later this year, we have a solution tailored for you at a price point you can afford" CEO Tim Westergren said. The impact on you at home: Pandora One users will be automatically switched over to Plus. Ad-supported fans of the Internet radio service are also getting some new features. Pandora says free users will have “more control over their advertising and listening experience.” This basically means that ad-supported accounts will have the option of viewing a video ad. Anyone who does that will then get more skips and replays—presumably until it’s time for the next advertising session. While Pandora Plus is launching today, the new service will hit Android and iOS phones “in the coming months.” Listeners in Australia and New Zealand, however, will have to wait until 2017 to see Plus and the new ad-supported tier.